The Sharks Offense punched the football over the goal line one time but was very successful in moving the ball up and down the field. The Sharks Offense was able to penetrate the Boling Bulldogs 20 yard two other times making it down to the 3 and 19 yard lines. Throughout the game the Sharks moved the ball up and down the field making 11 first downs. Unfortunately turns over killed the Sharks, one blocked punt, and losing 3 on-side kicks. The Sharks Defense was not as fortunate as the offense giving up big plays and ling runs. We played really well but the continued turnover again hurt us. BHS: Opened the game with an onside kick in which they recovered. The Sharks defense held strong and stopped them from making a first down on 4 plays. Boling Bulldogs stopped the Sharks on 4 plays. BHS: The Boling Bulldogs took over moved the ball down the field scoring on a 27 yard run. The PAT for two was good making the score 8-0. PHS: Recover the Boling Bulldogs on-side kick. The Sharks were 3 plays and out, but unfortunately the Boling Bulldogs blocked the Shark punt and took over on the Sharks 21 yard line. BHS: After two penalties backing the Boling Bulldogs to the 35 yard line. The Boling Bulldogs scored on a 35 yard run with a successful two point conversion making the score 16-0. BHS: Recovered another onside kick in which they recovered on the Sharks 40 yard line. The very next play the Boling Bulldogs ran a 40 yard touchdown. Two point try was no good making the score 22-0 at the 4:46 mark in the second quarter. on a 50 yard run. Two point try was no good making the score 28-0 at the 3:46 mark in the second quarter. 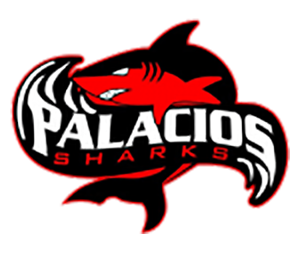 PHS: Recovered the next on-side kick on their own 34 yard line after making two first downs the Sharks score on a 50 yard pass for a TD from Micah Sanchez to Mihn Vo. The PAT run was unsuccessful making the score 28-6. BHS: The Boling Bulldogs returned the kick-off to the 50 yard line where time ran out in the first half. BHS: Boling Bulldogs received the second half kickoff driving the ball to their own 23 yard line. A few plays later on the Boling 38 yard line the Boling Bulldogs fumbled and the Sharks recovered. The recovery was made by Bryan Thomas. Boling 3 yard line when the quarter ending. Starting the 4th quarter the Sharks failed to punch the ball in giving it back to the Boling Bulldogs on the 3. BHS: On the next play Boling broke a 97 yard TD run. The PAT run for two was good making the score 36-6. PHS: The Sharks took the kickoff returning to their own 40 yard line. After several big plays the Sharks drove it to Boling’s 27 yard line. It’s their Shark drive ended on downs. BHS: Received the kickoff on their own 27 yard line. After 4 first downs that included several long run. The Boling Bulldogs made a 17 yard TD run. The PAT run for two was good making the score 44-6. PHS: The Sharks received the kickoff and ran it out to the 30 yard line, wher they 3 palys and punted. BHS: Boling took over on the 50 yard line with 1:46 left in the game. When the lights went out the second time. The officials ended the game, making the final score 44-6. Defensive standouts included Miguel Sanchez, Marco Garcia, Brian Thomas and Angel Alamia.